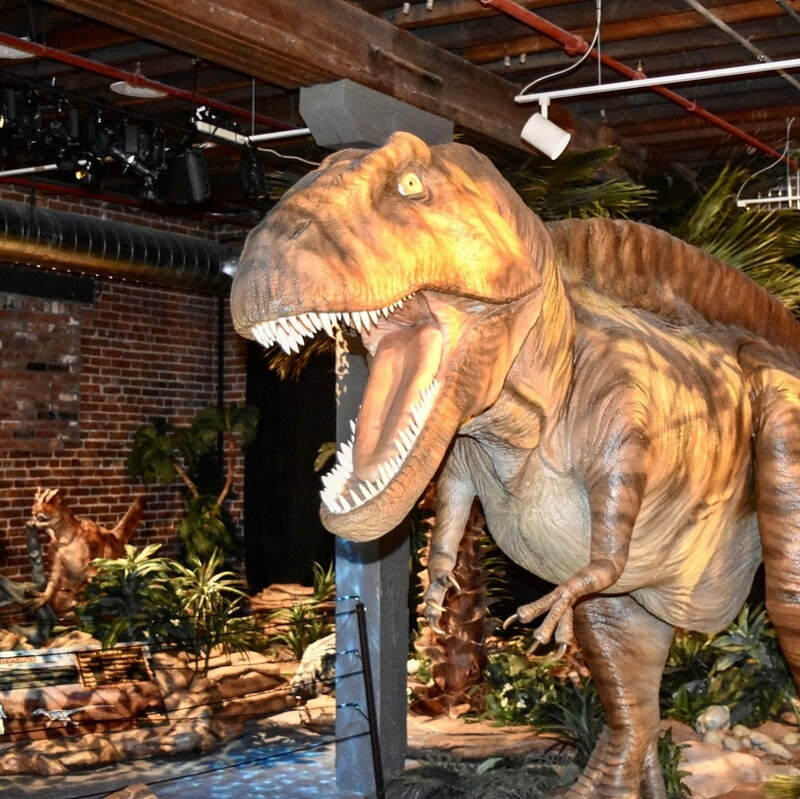 There are more than ONE HUNDRED hands-on activities for children and families to enjoy inside Leonardo’s Children’s Museum! Much like our namesake Leonardo da Vinci, we pride our selves on being a place where art and science meet, and hope to inspire the artists and scientists of the future. At the very least the entire family is sure to have a great time exploring and creating together! Always a visitor favorite, our critters have a unique animal habitat clubhouse space! Make friends with our lizards, snakes, chinchillas, ferrets and more! Plus, see all types of fish in the vibrant fish tank and learn about the animals through interactive displays. All ages love to create messages and images on our life-sized Lite-Brite! Play a game together, or create a picture with the brightly-colored, oversized pegs then step back and see your masterpiece glow! Sponsored by INTEGRIS Health and INTEGRIS Bass Baptist Health Center, the medical clinic features a life-size Operation game, x-rays and much more. Imagine and discover a world you can't see in the nano technology exhibit. Nanoscience and nanotechnology are the study and application of extremely small things and can be used across all the other science fields, such as chemistry, biology, physics, materials science and engineering. 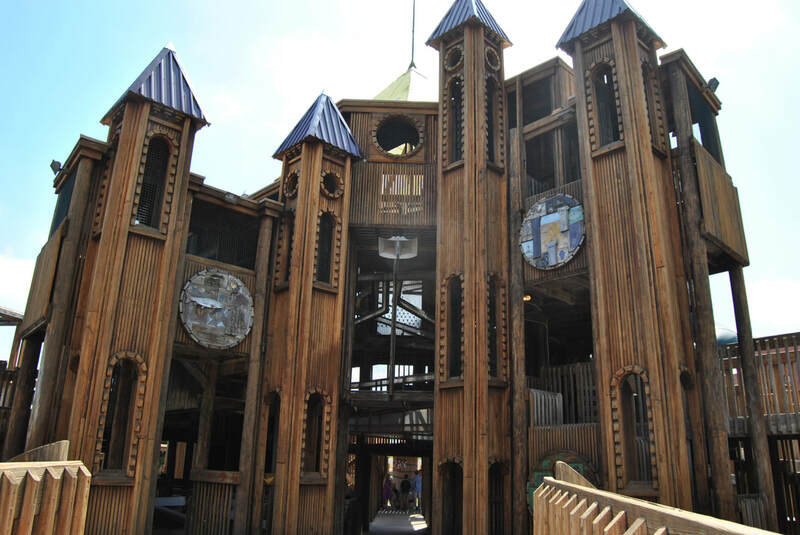 A climbing structure and learning center that extends from the first floor into the second floor, surrounded by exciting interactives! 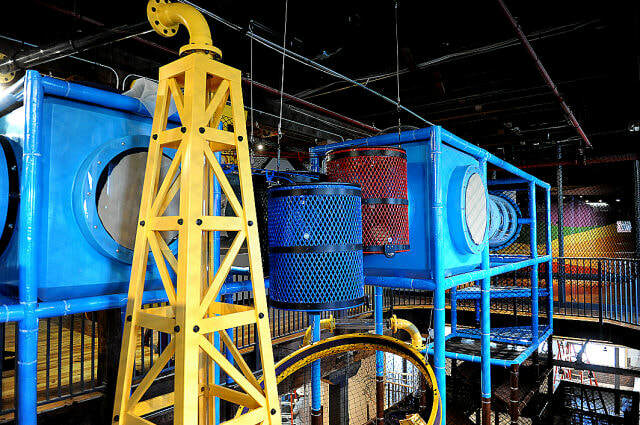 On the second floor, the Power Tower offers more in-depth energy related interactives with highlights on oil, natural gas, wind and solar power. 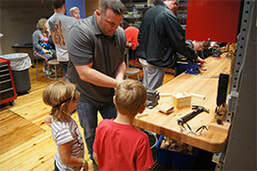 Kids of all ages will enjoy tinkering with hands-on parts and building their own items in the re-imagined Tinkering exhibit. Learn while playing and creating! 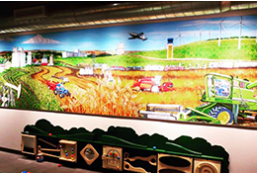 Younger visitors will love the touch wall, manipulatives and interactives. This space offers exciting rotating exhibits from the Oklahoma Museum Network, funded by the Donald W. Reynolds Foundation.